Growing up in a city that used to see its fair share of greenery but has now become a concrete jungle is very distressing. Looking back, I really miss the garden where my grandmother and mother used to grow plants. Every so often, I would be given the chore of plucking leaves from the garden to toss them in our food. I also used to thoroughly enjoy the times when driving through the city meant spotting multiple balconies or verandas covered in greenery. Now, spotting a humble tulsi plant in a windowsill is a treat to the eye. If you’re one of those silvers who loves nature, don’t let the concrete walls and negligible space around your residence dampen your green thumb! Use the space in your balcony, kitchen or veranda to create a mini garden where you can grow fresh herbal plants. A windowsill or a wall with individual pots also does the magic. Ensure the herbs get ample sunlight for four to six hours a day. Indeed, kitchen herbs are extremely beneficial for the physical and mental health of silvers. Including such fresh produce in your meals will enhance your cooking and lend a unique taste to your food. And the aroma of herbs permeating through the home and the pleasure of eating fresh herbs straight out of the pot are simply amazing. While choosing herbs for the garden, don’t just stick to regular ones such as tulsi or curry leaves. Include other herbs such as mint, coriander, ajwain (carom), aloe vera and even chilli, all of which have medicinal and nutritive properties. With this list of home-grown herbs, start your herb garden and reap the benefits of what you sow! I love mint! Picking it from the plant first thing in the morning and tossing it in a glass of hot water with grated ginger in it just perks me up. And a cool glass of water with lemon, mint leaves and rock salt refreshes me on a hot summer day. So often, I just toss some mint leaves in my salad or chop and add them in yoghurt to make raitas and dips. This aromatic herbal plant is easy to grow and, for centuries, it has proved to be a great cure for headaches, colds and coughs. I also treasure it for its ability to soothe the digestive tract, easing indigestion and irritable bowel syndrome. Use mint to make homemade herbal tea or add it to your soups, salads or rotis. It also works as a great mouth freshener. Mint is best grown in a pot; it grows in whatever space you give it. When I was younger, my grandmother and mother used to pray to the tulsi plant every morning and then chew on the leaf. They were wise enough to begin their day with this holy leaf that spreads positivity, perks you up and improves your quality of breathing. The tulsi leaf—green or black—is one of the most important herbs listed in Indian medicines. Adding tulsi leaves to your soup or beverages enhances the taste. There’s another variety of tulsi called basil that tastes excellent in salads and dips like pesto. Add it to herbal infusions and teas to make a soothing beverage. Tulsi is a remedial herb; it is high in antioxidants and reduces blood sugar levels as well as blood pressure. Grow this herb and tap into its healing properties when faced with health conditions such as gastric disorders, common colds, cough, malaria and headaches. Tulsi leaves are dehydrated and sold in capsules as a stress reliever. The medicinal properties of tulsi are beneficial for cancer patients too. Whether in leaf or seed form, I always advise people to toss coriander into their food daily. It is one of the most powerful herbs that fights free radical damage, cleans up the blood and inner walls of the arteries and veins, and improves the level of good cholesterol in the body. It is great for the lungs and should be eaten by smokers regularly. Use it as a garnish, toss it in your food or grind it to make yummy chutney. Coriander contains trace amounts of calcium, iron and magnesium; it also prevents urinary tract infections and checks excessive menstrual flow. In fact, the benefits you will reap after growing this herb are manifold. The leaves of the ajwain plant are useful to treat common cold, coughs, fevers, flatulence and colic. Ajwain leaves and seeds have the same carminative properties. The oil derived from its leaves is used to treat microbial imbalances within the body as it doesn’t harm the beneficial flora of the intestine. One of the easiest ways to use it is to add some leaves to your chutney. 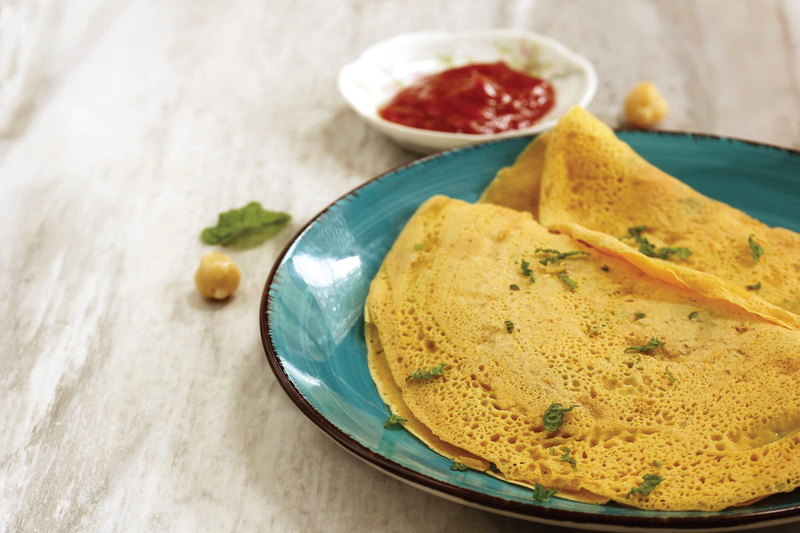 Adding chopped ajwain leaves to a besan (gram/chickpea flour) chilla prevents the bloating caused by besan. And mixing them with yoghurt turns the dish into a delicacy as even a few leaves can enhance flavour. Aloe vera and its clear, gel-like substance contain numerous vitamins, minerals, enzymes, amino acids, natural sugars and agents that are anti-inflammatory and anti-microbial. The combination and balance of this plant’s ingredients make it a known healer. Aloe vera speeds up the healing process, particularly in the case of burns, including radiation burns. And aloe gel is the world’s best sun block, thanks to its content of MSM (methy-sulfonylmethane). No wonder legend has it that Cleopatra would massage fresh aloe vera gel into her skin daily! You, too, can rub it on your face to make your skin tighter and firmer, giving an instant face lift and preventing skin dehydration. You can also blend aloe vera pulp with lemon and papaya for an amazing beauty tonic. Aloe vera contains plant steroids and salicylic acid. Ingesting it helps treat intestinal problems. Aloe vera may be useful in treating diabetes, problems of the immune system and psoriasis. Each leaf of this long, spiked, thick-leaved plant can be sliced and the inside gel eaten or used topically as a lotion. 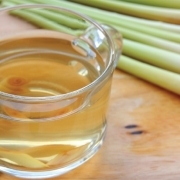 Lemongrass is an aromatic healer. It not only emits a distinct, lemony-citrus smell but is known for its curative properties. Popular in India as hari chai patti, it is often chopped and added to the morning cup of tea or herbal infusion. It prevents flatulence, digestive disorders, fevers, menstrual disorders, rheumatism and other joint pains. Planting lemongrass in your herb garden provides you with free aromatherapy too! I have grown up with methi in my food and was always told how good the herb is for overall health. 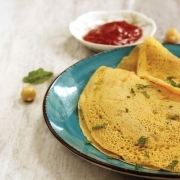 It can be used to prepare various dishes: methi bhajiya, methi thepla, methi paratha, methi dhansak and the little methi leaves salad that is a hot favourite today. This leafy green is great to cure anaemia and constipation and keeps your cholesterol levels in check. Diabetics should include it in their diet as it also helps control levels of glucose metabolism. Curry leaves are popular in Indian cuisine and do more good than just seasoning your food. They add a distinct aroma and flavour to dishes, and increase the health quotient. Curry leaves are known for their antioxidant properties and ability to control diarrhoea, gastrointestinal problems, urinary disorders, morning sickness, etc. You can add them to soups, sauces, stews and chutneys, or dry the leaves and crush them for later use. The curry leaves plant can be maintained easily in a pot, but ensure it gets plenty of sunlight. Wheatgrass is a great natural source of nutrients. In its juice form, it contains 70 per cent chlorophyll, closely resembling the molecules of red blood cells. Chlorophyll is known to produce an unfavourable environment for bacterial growth and is therefore effective in increasing the body’s resistance to illness. Wheatgrass is considered a complete food owing to its fibrous content, which is indigestible for humans and should be liquefied before consumption. Drinking wheatgrass juice helps your body build red blood cells that carry oxygen to every cell, and thus aids in cancer therapy. It also helps increase the enzyme level in cells, aiding in the rejuvenation of the body and the metabolism of nutrients. Mix the besan with a little water and keep aside for 30 minutes. Add red chilli powder, onion, tomatoes, ajwain leaves, salt, asafoetida and water to prepare batter. To proceed, spread a spoonful of the batter on a hot frying pan of about 125-mm diameter. Smear a little oil around the mixture and cook for a few seconds. Turn it over and cook the other side too till it gets cooked and turns golden brown. Serve hot with green chutney. Add crushed ginger, mint leaves and lemongrass to water and boil for five minutes. Squeeze some fresh lemon juice in a cup and add a dash of honey/jaggery powder to it. 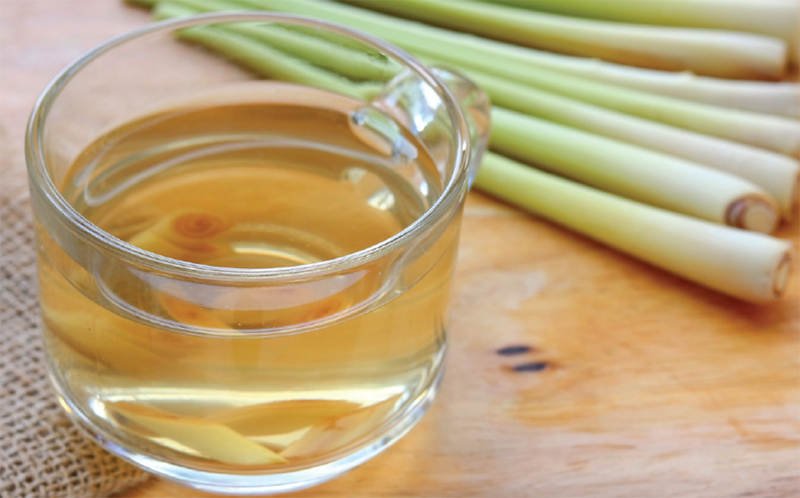 Pour the boiled water with ginger and lemongrass in it; stir and sip this refreshing tea.